Singapore didn't deliver on the championship front, and unfortunately left quite a lot to the imagination in terms of racing. But as always, some of the teams made the best of it, and some found luck just wasn't going their way. Red Bull continue to be the dominant force in qualifying and the race, although it was a closer run thing than they may have liked. Meanwhile in the midfield there were some teams who found the street circuit worked well with their cars, whilst there were a few upgrades up and down the field that had mixed results. There were some vague concerns going into the Singapore race weekend, that both Vettel and Webber might struggle with their gearboxes. After constant warnings to short-shift towards the end of the previous race at Monza, the drivers needed to get their gearboxes through the two-hour endurance event in Singapore. For Vettel, it was a breeze, as was much of the weekend. Confident enough with a supreme lap in qualifying to sit out the final runs in Q3, Vettel took pole position and converted it to a dominant win. 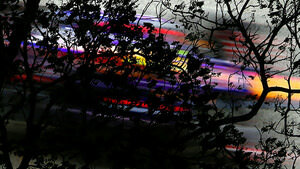 His only trouble was a brief attempted overtake by Rosberg, and managing a Safety Car period midway through. No, as you might imagine, the gearbox trouble was saved for Mark Webber. Never one to have much luck anyway, Webber’s history with Singapore isn’t a positive one. The Australian managed the strategy and made some good overtaking moves through the field towards the end of the race, but it was all for nothing when on the final lap he lost power and was forced out of the race, car in flames. The team face the highs and lows of another fantastic victory for Vettel, where he kept pulling out incredible leads from the following pack behind, alongside the disappointment of a retirement for Webber, just a few corners from the chequered flag. Overall, the team have nothing to worry about, taking their third consecutive win at Singapore, as well as their third in a row this season. The only concern has to be Webber, who has admitted he’s finding motivation tricky, and has absolutely nothing to lose for the rest of the season. The Ferrari team weren’t expecting great things from Singapore. Felipe Massa, in particular, seemed to be managing a handful of a car on each and every lap. Qualifying saw them comfortably inside the top ten, but unable to challenge too far up the order. In the race, the difference came from the start, as the lights went out. Massa had a bad start, getting stuck in the bunched up traffic and losing places. He recovered well to regain sixth place, finishing the race exactly where he started. Alonso had a storming start, keeping his car fully in a straight line as he swept past four cars in the first corner complex. He was hindered by getting stuck behind a couple of slower cars, but was helped when the Safety Car came out and mixed up the strategies. The result flatters the team, really, as it was more a matter of poor luck for others and the strategy calls that came from the interruption midway through. Ferrari know that the championships are all but out of their grasp now, and although they have that never say die attitude, it’s getting to the point where they require Webber’s bad luck on both the Red Bull cars to have any chance of closing the gap. This weekend, even if we didn't have the fastest car, we did manage to maximise our performance getting everything possible out of our driver-team package and the result is absolutely positive. Our competitiveness in the race was better than we had seen in the previous days, but… we must try to improve, especially in situations where the track characteristics don't suit our car. On Saturday, the balance of power at Lotus was firmly with Romain Grosjean. The Frenchman had taken a gamble in the first session of qualifying and set his time on the harder compound, saving a set of tyres and just scraping through to the next round. He went on to scoop an impressive third place, lining up on the second row of the grid. In contrast, Kimi Räikkönen was having a tough time of it, struggling with a painful back that limited his running in final practice, and his pace in qualifying. Compared to Grosjean’s third place, 13th was a disappointment. The incident was also costly for Lotus, as they were reprimanded by the stewards after the event. An engine specialist dashed into the pit lane to have a closer look at the car and at the problem, but they weren’t wearing a helmet as stipulated in the regulations. Taking a podium finish and bringing home a trophy was a successful result for Lotus, who otherwise would not have a lot to write home about from Singapore. Those who enjoy close races had their hopes pinned on Nico Rosberg, as the Mercedes rounded the final corner of the Marina Bay circuit and crossed the line for a full-on flying lap. Even Sebastian Vettel watched on nervously in the garage, biting a fingernail or two. It was second place for Rosberg, a great front row start with just nine hundredths splitting the two. Both the drivers ended up next to each other on track during the race, with Rosberg dropping back a little, and Hamilton retaining his fifth place. They followed Webber through the field with heaps of overtaking as the race drew to its conclusion, and managed to steer clear of each other despite some dicey moments. Rosberg reportedly had some rubber debris clogging up vital aero components, which didn’t help his speed, and likely frustrated Hamilton stuck behind him too. McLaren looked to have a pretty standard Saturday, with Jenson Button securing a grid slot at the lower end of the top ten, and Sergio Pérez a few places further back. During the race, the pair found themselves next to each other on track, and they were both trying to get to the finish after an early pit stop when the safety car came out. For a moment, Button was up in third, but he knew it was never going to last for long. Gradually, the McLaren duo dropped backwards, but managed to halt at 7th and 8th place – a handy double points finish to increase the championship gap to Force India. They also managed to race respectfully and avoid any inter-team incidents, something they haven’t always been able to do in the past. Crucially, Button seemed to be having fun out on track, despite feeling like he has an underperforming car. On the other side of the garage, Pérez is concerned that the problem lies with him rather than the machinery. Or perhaps, a little bit of both. Our strategy involved an element of risk, but that risk was worth taking. After all, the second-placed and third-placed finishers both ran the same strategy and, although our cars didn't have sufficient pace to beat them to those podium finishes, our drivers boldly embraced the challenge set by a strategy that required them to attack and defend with an impressive mix of aggression and restraint. Esteban Gutiérrez was the surprise of the weekend, with a very good qualifying performance. From his normal position at the lower end of the grid, Esteban flew up into the top ten. He didn’t attempt a flying lap in the final session and started the race from tenth place. The team, naturally very proud, say he’s been on the verge of breaking into the second and third sessions more regularly, and it just took a bit of a boost like this. Unfortunately, it was at the expense of teammate Nico Hülkenberg, who dropped out in Q2 and lined up on the grid 11th. In the race, Hülkenberg had further troubles when he was forced to give back a position that he didn’t actually gain. Sergio Pérez was attempting a passing move on the Sauber, and squeezed him off track. The stewards decided Hulk should rescind the position, despite it being a failed overtake rather than an advantage gained. He was fuming, both during the race and afterwards. “I have to look at the footage, but I don’t agree,” he said. Nico still managed to finish in the points, whilst Esteban dropped back a few places to finish just outside. The overall performance wasn’t quite what the team had hoped, but as always, they’re staying positive and believe the development of the car is heading in the right direction. Sutil’s luck improved on Sunday, although it was a performance that didn’t garner a lot of attention – there were better battles elsewhere. The German rates his race as tough and exhausting, and he managed to haul the car up to the final points position, making it a modestly rewarding afternoon’s work. The key issue for Force India, aside from finding out what went wrong in Paul’s crash, is that they have lost ground to McLaren, and need to recover the points lost if they want to stay in contention for fifth in the championship. Williams’ weekend can mostly be described as dire. Maldonado took a long time to get to grips with the track, wobbling all over the place during the practice sessions, and proclaimed the car to be “very tricky to drive.” He qualified 18th, being marginally outclassed by Valtteri Bottas, who was only two places ahead of them. In the race, Bottas was the lower of the two drivers, finding himself battling with the Caterhams on a few occasions. He had a clutch issue at the start, and picked up some debris along the way that messed with the aerodynamics. Maldonado managed to improve on his position after a good start, and found the car setup a lot better over the longer distance. He just missed out on a points position, but the team showed a solid performance during the race, if not spectacular. Both Pastor and Valtteri drove a solid race today in challenging conditions but we need to find more performance from the car if we want to be consistently fighting for points. Vergne also had a reasonably good qualifying, and although he missed out on the top ten, he secured the 12th grid slot. This has shown that Toro Rosso’s recent improvements over one lap have stuck, and they are starting to begin races further up the grid, which can only help results. Vergne also lost a couple of places off the grid, changed strategy to try and compensate, but ended up with worn out tyres anyway. The team take solace from the fact the updates they brought to the car this weekend seem to have worked, even if they only got to saw them race fully on one car. Caterham could have been on for a lonely race in Singapore, as the Marussia team weren’t close enough to make it a really good scrap for the bottom positions. Pic and Van der Garde qualifying in their normal places, with Pic ahead of his teammate after the latter bashed into the wall and cost himself some time. On Sunday, the Caterhams found themselves with Valtteri Bottas to battle with. Van der Garde in particular was having a lot of fun, finding the car worked well on the supersofts, but when he swapped tyres, the Williams was allowed to get past and disappear in the distance. Marussia were working on their suspension at the Singapore race, and felt like the practice sessions indicated they could get more out of the car than they did. Qualifying saw the pair firmly behind the Caterhams, with Bianchi ahead. In the race, the positions were reversed. Chilton had struggled with balance on Saturday, and started the afternoon on Sunday with a similar problem. Gradually, the car came to him and he managed to stay ahead of his teammate and the Caterham of Charles Pic. Bianchi was on the back foot almost immediately, coming in for an extra stop to change the steering wheel – although he’s glad that it was a simple fix, rather than a gearbox problem as it had appeared. Marussia also managed to take a starring role by dragging out the safety car period. Once the duo were allowed to unlap themselves, it took an absolute age for them to make it round the circuit and rejoin the back of the field. It’s one way of making a name for yourself, I suppose!